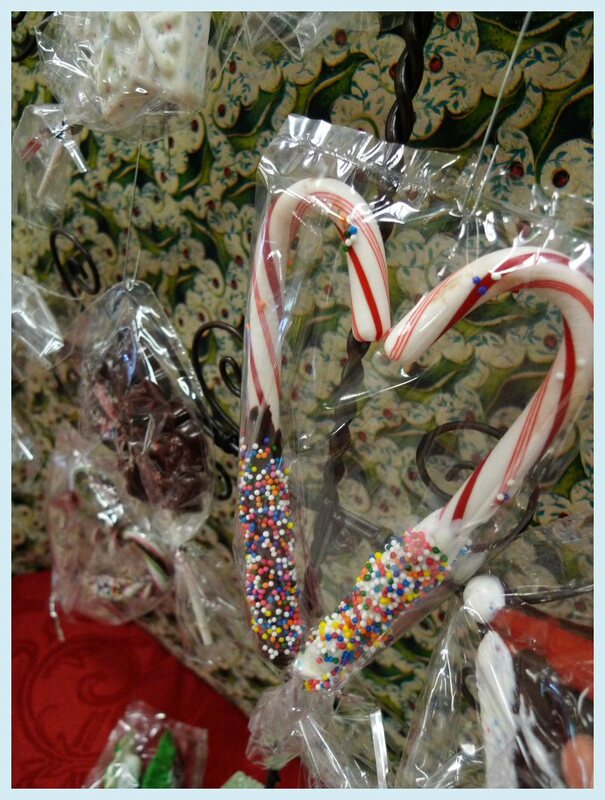 An easy and fun gift are chocolate dipped candy canes. You simply dip the ends of candy canes into melted chocolate and then roll them in sprinkles. Package two of them in a bag to make an adorable heart. ~ by Arwen on December 2, 2009.